Slow Cooker 3-Ingredient Pulled Pork - slow cooked pork shoulder that is better than any restaurant! Great on hamburger buns, on top of a baked potato, nachos or a salad. All you need is some slaw and baked beans and you are all set. Easy peasy party! You can also freeze the leftovers for later. I'm knee deep into menu planning for our 4th of July party. We are going to have a few friends over for the holiday. I want to be able to enjoy the party and not spend the whole time cooking. 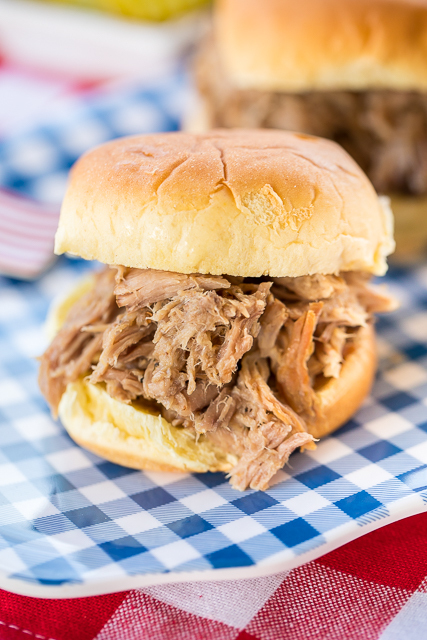 This 3-Ingredient Slow Cooker Pulled Pork is definitely going on the menu! All of my favorite flavors in one dish! Not only is it super easy, it is CRAZY good!! BONUS -- I get to stay in the air conditioned house not sweat outside in the blazing heat all day! 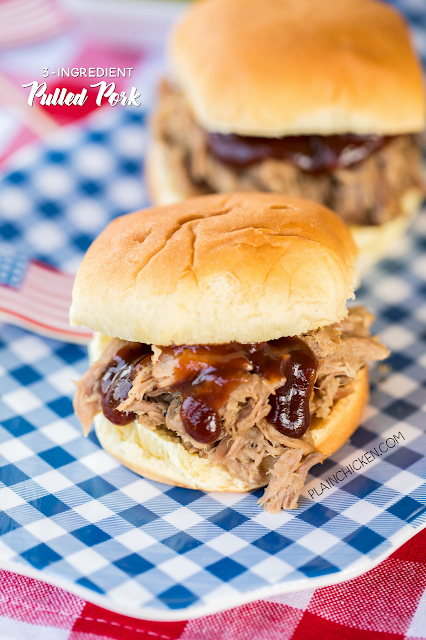 This Pulled Pork is great on hamburger buns, on top of a baked potato, nachos or a salad. All you need is some slaw and baked beans and you are all set. Easy peasy party! This makes a lot of pork. It is great leftover. You can also freeze the leftovers for later. Place pork in a 6-qt slow cooker. Sprinkle with dry salad dressing mixes. DO NOT add any water to the slow cooker. With 2 forks, pull pork apart and remove any fatty pieces. 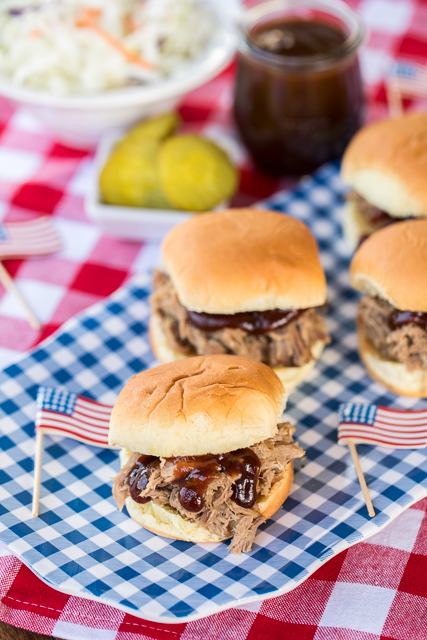 Serve pork on buns with your favorite BBQ sauce.